This is the second time I’ve posted a calzone recipe here on A to Z. My family voted unanimously that they were better this time around. You’re gonna love ’em! Where did this past week go?!? I’ve been busy working on a final Italian Sausage recipe while moving onto the “J” recipes! Check out the CALZONE! Quick, easy, make ahead, cheap, and DELICIOUS!… Did I get everything in there…?? This recipe does it all. Except maybe the dishes… you’ll have to do those yourself… or enlist someone to help you. 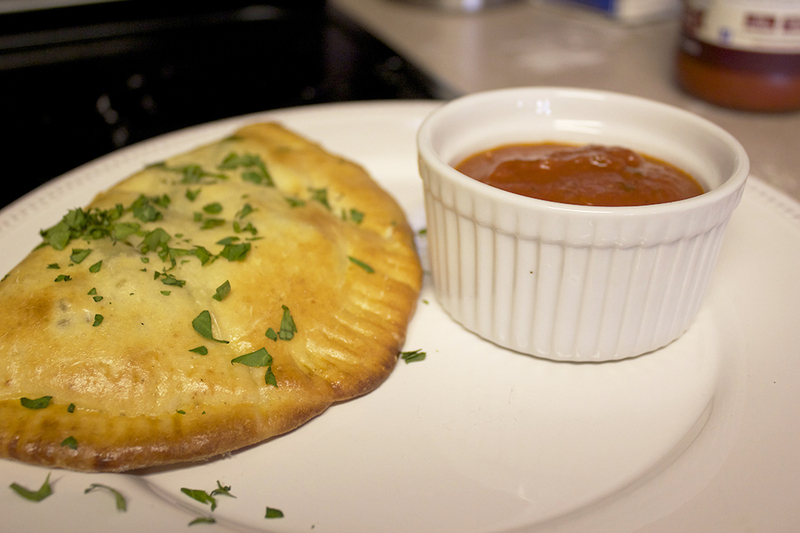 Just tempt them with these calzones… they’ll have no choice but to grant you a night off from dish-duty! These are EASY because I don’t have you make your own dough… I experimented with two store-bought doughs and was happy with both of them. They yielded slightly different results but BOTH were tasty!